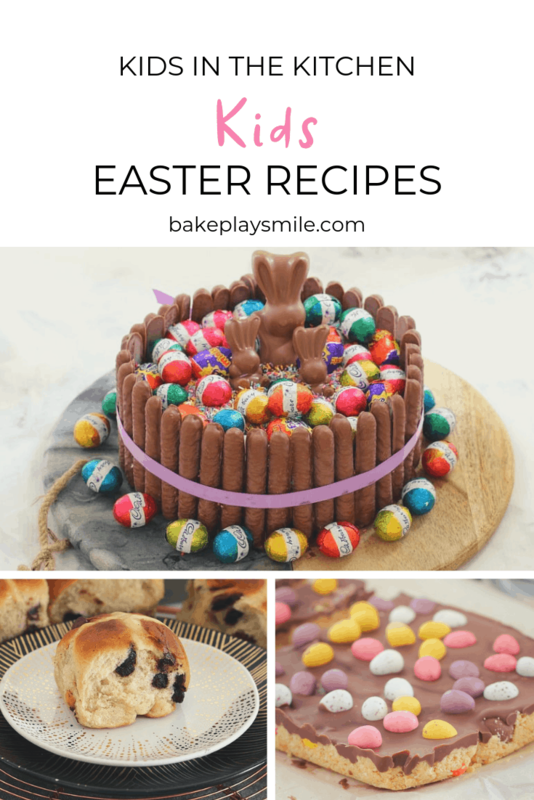 Get your mini chef in the kitchen with these easy kids Easter recipes… chocolate bark, biscuits, slices, cakes, cupcakes and more fun recipes! 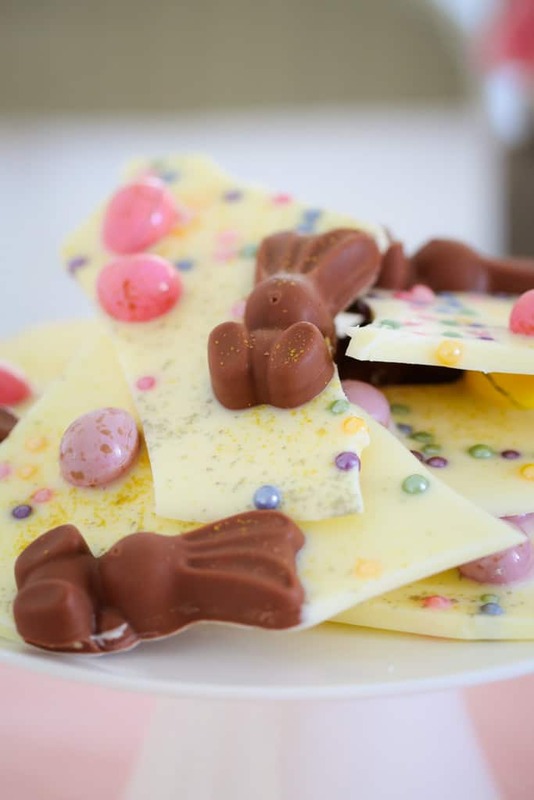 White Chocolate & Malteser Bunny Bark with mini Easter eggs… 5 minutes prep time… 4 ingredients… a totally delicious Easter treat! 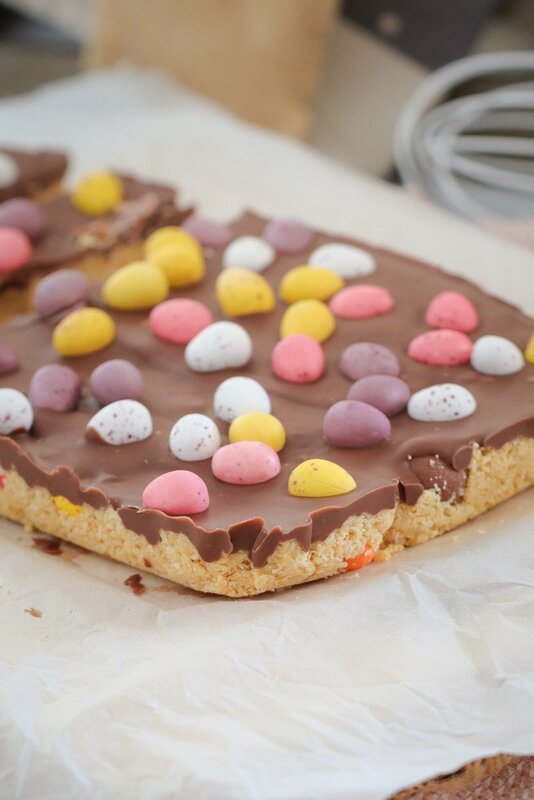 The easiest No-Bake Easter Egg Slice you’ll ever make! A biscuit base filled with your favourite mini Easter eggs, topped with a chocolate layer and even more Easter eggs! 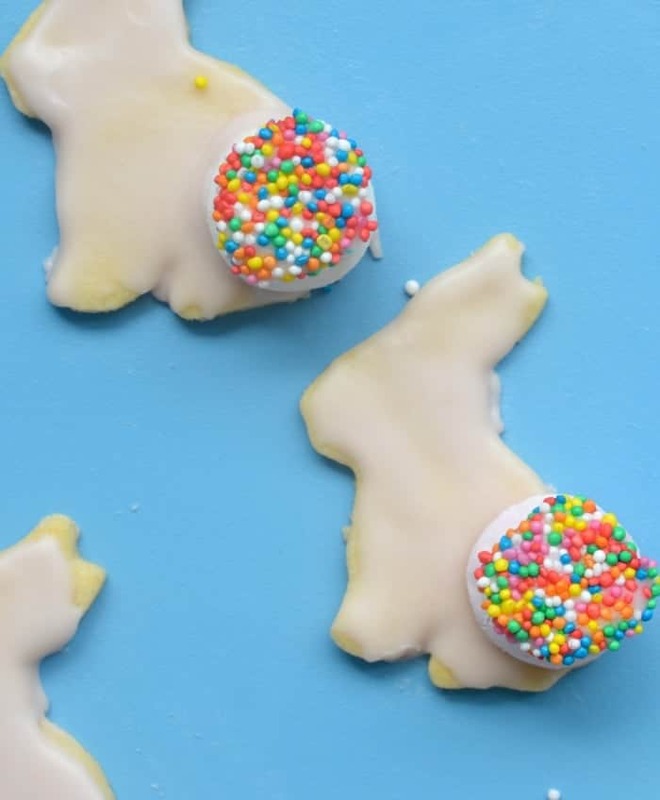 These Easter Bunny Biscuits are a great activity to make with the kids! 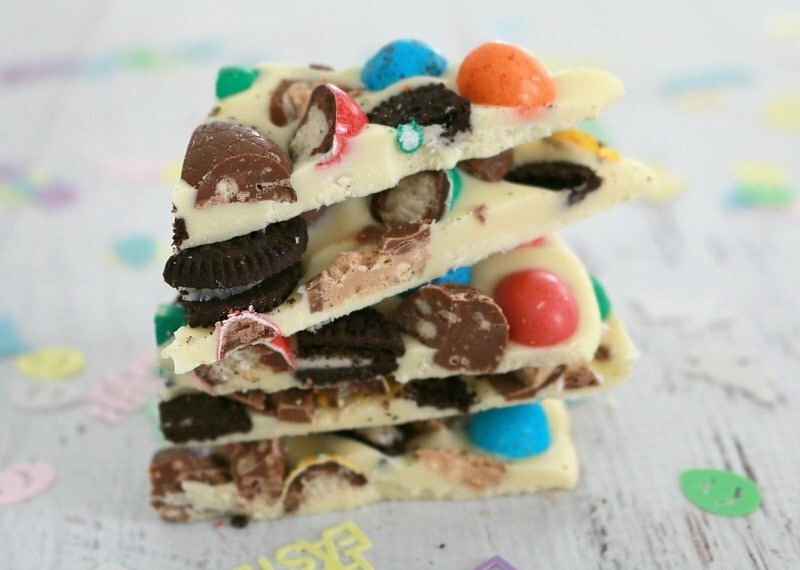 This deliciously Loaded M&M, Malteser & Oreo Easter Bunny Bark is packed full of Malteser Bunnies, solid chocolate eggs, Crispy M&M Speckled Eggs & Oreos… a chocoholics dream! 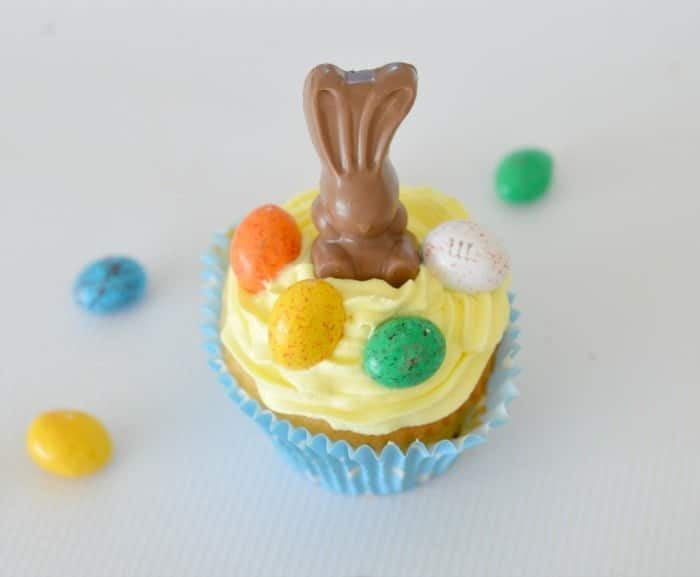 Satisfy your inner chocoholic with one of these too-cute Malteser Bunny Chocolate Cupcakes. Quick, easy and absolutely delicious! 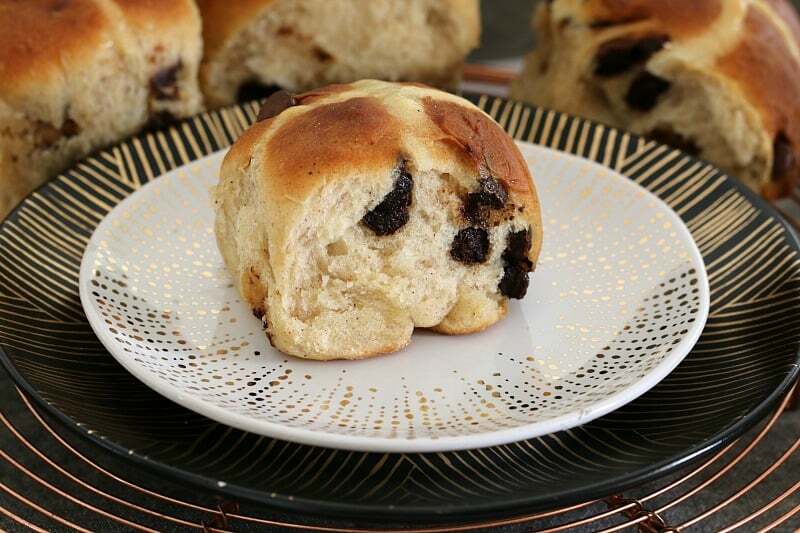 After a recipe for Perfect Hot Cross Buns?? This recipe is kid-friendly, great for lunch boxes and absolutely fool-proof! 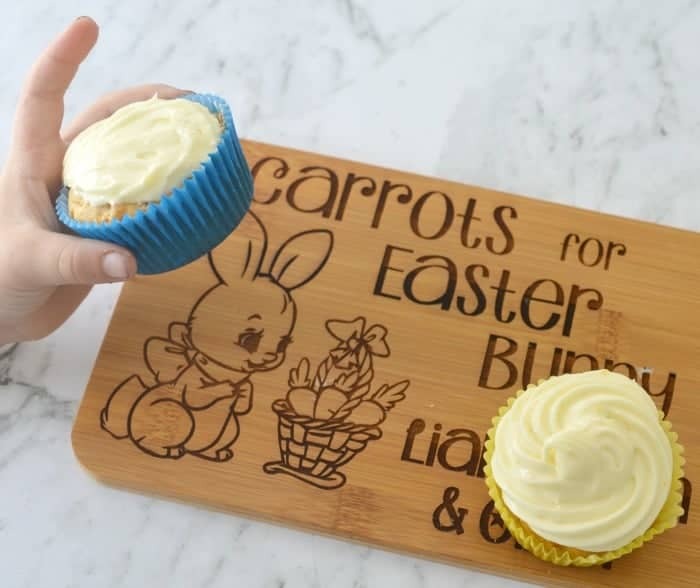 You are going to LOVE these easy Carrot Cake Muffins, especially when they are covered in cream cheese icing! 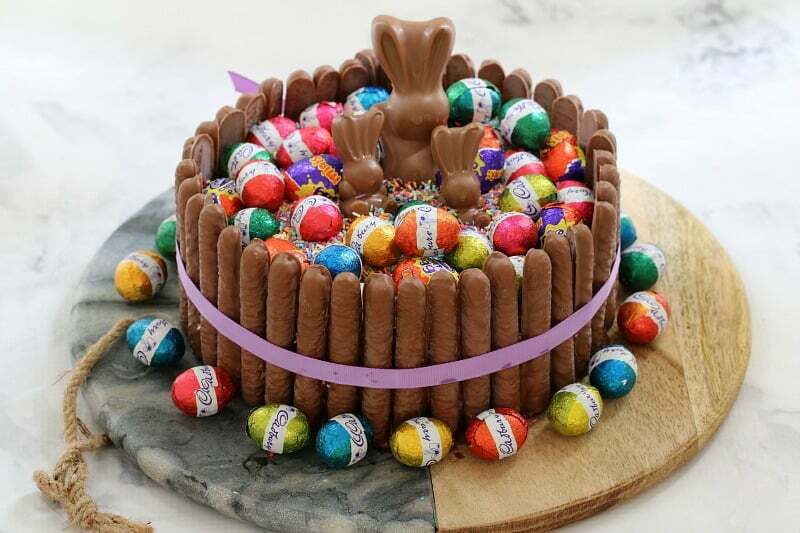 The ultimate cheats ’15 Minute Chocolate Overload Easter Cake’, made from a store-bought mud cake, covered in creamy milk chocolate frosting, piled high with sprinkles, chocolate easter eggs, creme eggs and Malteser bunnies, and surrounded by chocolate finger biscuits. This easter cake looks absolutely gorgeous and tastes even better… talk about a show stopping table centrepiece! 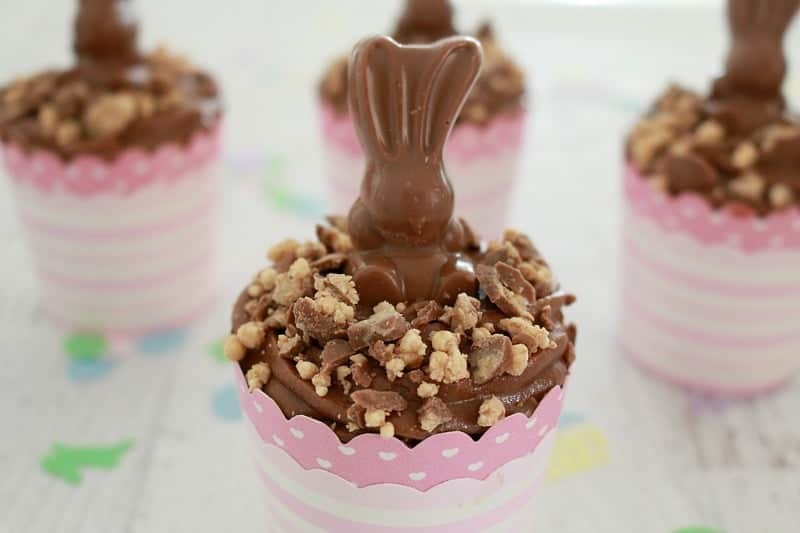 These MaltEaster Bunny Cupcakes are a great way of combining the Easter favourite, Malteser Easter Bunny chocolate treats with another one of my big loves – cake! 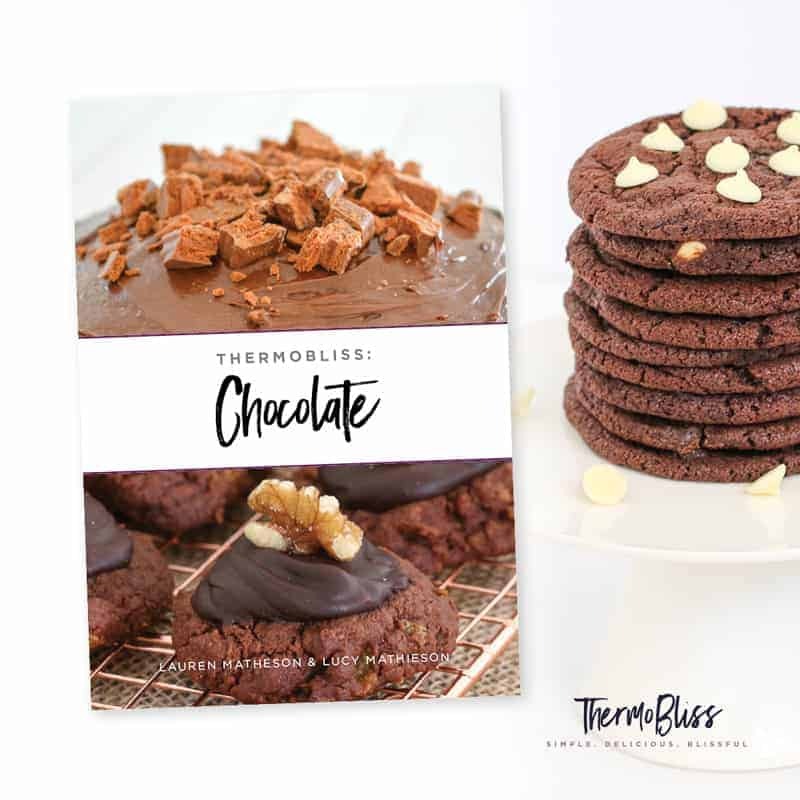 If you are looking for more fun recipes to make with the kids this Easter perhaps check out our new ThermoBliss: Chocolate Recipe Book. Available now!